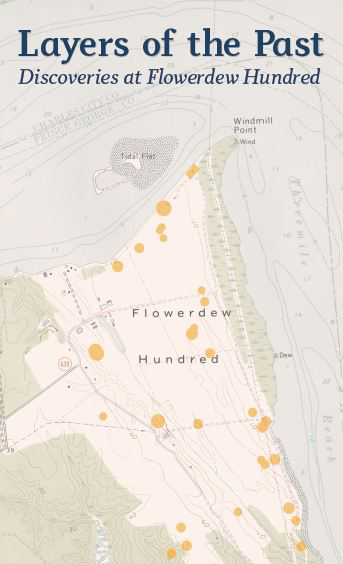 Detail showing "Flower de Hundred" and Windmill Point, from Joshua Fry and Peter Jefferson, Map of the Inhabited Part of Virginia.... London: Thos. Jefferys, . Archaeologists have noted the presence of American Indians at Flowerdew Hundred starting as early as 8000 BC. 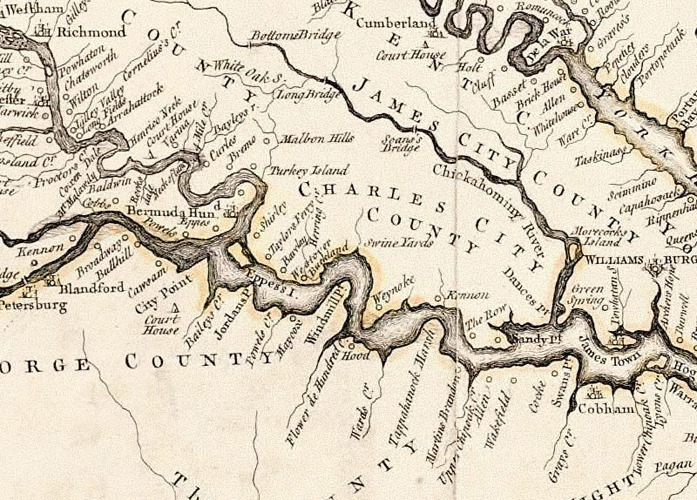 Successive groups of Virginia Indians began to occupy Flowerdew Hundredduring the Archaic to Late Woodland Periods and well into the 17th century, when European colonists arrived, marking the beginning of the Early Colonial Period. This exhibition highlights Virginia Indian artifacts ranging in date from the Archaic Period through the Early Colonial Period (1600-1650), and materials from several colonial contexts dating roughly from 1618 to 1650.